MONTRESOR (Montrésor), JOHN, military engineer; b. 22 April 1736 at Gibraltar, son of James Gabriel Montresor and Mary Haswell; m. 1 March 1764 Frances Tucker, in New York City, and they had six surviving children; d. 26 June 1799 in Maidstone prison, England. John Montresor was raised in Gibraltar, where he probably learned the rudiments of military engineering from his father, the chief engineer there. 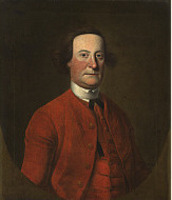 In 1754 he went to North America when his father was designated chief engineer in Major-General Edward Braddock’s force. John was commissioned an ensign in the 48th Foot in March 1755 and was appointed engineer in June; he was wounded in the battle on 9 July which ended Braddock’s ill-fated expedition to Fort Duquesne (Pittsburgh, Pa) [see Jean-Daniel Dumas]. Montresor spent most of 1756 on works at Fort Edward (sometimes called Fort Lydius), New York, and the following year joined Lord Loudoun’s abortive expedition against Louisbourg, Île Royale (Cape Breton Island). Montresor was officially commissioned a practitioner engineer in May 1758 but subsequently lost his position in the 48th. 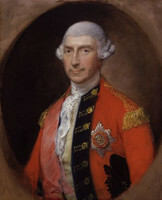 In June he accompanied Jeffery Amherst’s expedition against Louisbourg and took an active part in the reduction of the fortress. He remained there after the capitulation and in March 1759 led a scouting party to the Bras d’Or lakes to search for Acadians. Later that year Montresor was assigned to Wolfe*’s expedition against Quebec. During the siege he became quite friendly with Wolfe and made a profile drawing of the general which was published in 1783. 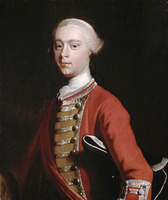 After the fall of Quebec he remained there under James Murray’s command and was employed in surveying the resources of the countryside, disarming the Canadian militia, and administering the oath of allegiance. In January 1760 he made a difficult overland journey to deliver dispatches to army headquarters in the American colonies and in the summer accompanied the vanguard of Murray’s army to Montreal. Montresor remained in Canada for some time after its surrender. In 1761 he explored the unknown region between Quebec and the Kennebec River (Maine). His account of this journey later fell into the hands of Benedict Arnold*, who used it as a guide for his expedition against Quebec in 1775. He was also employed by Murray, whom he disliked intensely and referred to as “A madman,” in producing a monumental map of the St Lawrence, the so-called “Murray Map.” Questions of responsibility and credit for the project led to quarrels between Montresor and two other engineers, Samuel Jan Holland* and William Spry. By 1763 Montresor was stationed in New York, but Pontiac*’s uprising brought him back to Canada when he was sent by Amherst with dispatches for Major Henry Gladwin, besieged at Detroit. The following year he was sent with Colonel John Bradstreet’s expedition to Detroit as chief engineer and commander of a detachment of Canadian volunteers, the first such force raised for the British service. The expedition assembled at Niagara (near Youngstown, N.Y.), where Montresor spent the summer constructing fortifications along the Niagara River, including the first Fort Erie (Ont.). 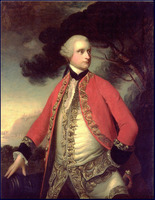 Following a trip to England in 1766, Montresor was promoted captain-lieutenant and appointed chief barrack-master of the Ordnance for America. He was in Boston when the War of American Independence broke out and in the following years served several times as chief engineer in America. He was promoted captain in January 1776. In October 1778 Montresor returned to England and retired from the army. Although he lived to see several of his sons obtain preferment in the army, Montresor’s last years were clouded. Throughout his later career he bore a grudge against the army and the Ordnance office for their failure to appoint him to the rank he felt his achievements and talents merited. But while his accomplishments were significant and his abilities undoubted, his journals reveal an arrogance which probably contributed to his lack of promotion. His bitterness, the huge amounts of money he could detail to purchase engineering supplies, and a lax auditing system probably led him to use his position as chief engineer to accumulate a small fortune for himself. Four years after he returned to England, however, his accounts were subjected to close scrutiny, and the auditors disallowed £50,000 out of claimed expenditures of about £250,000. Montresor contested this decision but the government eventually recovered £48,000 through the seizure and sale of his estate, which included a house in London and lands in Kent. He died in prison, a confinement apparently related to the money still owed to the authorities. [There is a portrait of John Montresor by John Singleton Copley in the Detroit Institute of Arts. Four copies of the St Lawrence map on which Montresor worked are known to exist. The Clements Library and the PAC each have one, and the BL possesses two. [John Montresor], “Journal of John Montresor’s expedition to Detroit in 1763,” ed. J. C. Webster, RSC Trans., 3rd ser., XXII (1928), sect.ii, 8–31; “Lt. 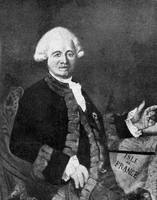 John Montresor’s journal of an expedition in 1760 across Maine from Quebec,” New England Hist. and Geneal. Register, XXXVI (1882), 29–36. “The Montresor journals,” ed. 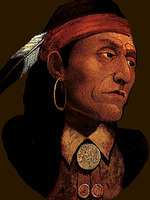 G. D. Scull, N.Y. Hist. Soc., Coll., [ser.3], XIV (1881). DAB. DNB. R. A. Bowler, Logistics and the failure of the British army in America, 1775–1783 (Princeton, N.J., 1975), 175–78. F. M. Montrésor, “Captain John Montrésor in Canada,” CHR, V (1924), 336–40. F. H. Severance, “The achievements of Captain John Montresor on the Niagara and the first construction of Fort Erie,” Buffalo Hist. Soc., Pubs. (Buffalo, N.Y.), V (1902), 1–19. J. C. Webster, “Life of John Montresor,” RSC Trans., 3rd ser., XXII (1928), sect.ii, 1–8. R. Arthur Bowler, “MONTRESOR, JOHN,” in Dictionary of Canadian Biography, vol. 4, University of Toronto/Université Laval, 2003–, accessed April 22, 2019, http://www.biographi.ca/en/bio/montresor_john_4E.html.